Thank you to everyone who took the time out to record and send in their video clips, we really do appreciate it! When it comes to the total hip replacement using the BHR (Birmingham Hip Resurfacing) method, only the articular surfaces are being replaced. Of all the systems available on the market, BHR has the longest – independently verified – history of clinical use. It is a bone-sparing surgery, since the femoral head is maintained in its entirety, and it is covered with a so-called cap. The second component of the prosthesis is an artificial acetabulum. The traditional large prosthesis stem inserted in the canal of the femur is not a part of this solution. 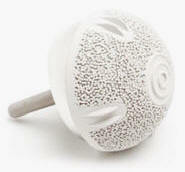 BBC Watchdog reports on the Birmingham Hip Resurfacing (BHR) implant, first aired on August 2nd 1999. Derek McMinn MD FRCS, the pioneering orthopaedic surgeon behind the BHR, talks about hip resurfacing as the bone conserving alternative to total hip replacement (THR). Professional Badminton player and coach David Eddy talks about how his hip resurfacing has enabled him to remain active and go on to win several competitions around the world. Golfer Clement Gibson has a total hip replacement on one side and a hip resurfacing on the other. He says that the resurfaced hip is more comfortable and he is able to do more with it in comparison to his replacement hip. August 1, 2016 A Wisconsin federal judge has awarded Smith & Nephew Inc. summary judgment in a case involving its Birmingham Hip Resurfacing implant, finding the plaintiffs failed to present expert testimony that the device was defective. …According to the authors’ results, the Birmingham Hip Resurfacing System resulted in good clinical outcomes at 4 years. Survival and outcomes in women, particularly those with modest bone size, are inferior. .. The First Generation Metal-on-Metal bearings manufactured in the 1950s and 1960s were produced by the investment casting process (Ring and McKee Farrar prostheses). From these devices we have recorded the longest benign clinical history of cobalt chrome alloys with extremely low linear wear rates. The BHR™ is produced using the investment casting process from high carbon cobalt chrome in the As Cast micro-structural condition.Wear studies have shown that Cobalt Chrome in its As Cast form has superior wear resistance to other forms of the alloy. The BHR™ has a hemispherical cup design with a cast-in porous ingrowth surface called Porocast™. This ingrowth surface does not require a heat treatment to attach the beads and therefore preserves the carbide structure.